Contains Magnesium Oxide, Aspartate and Citrate. 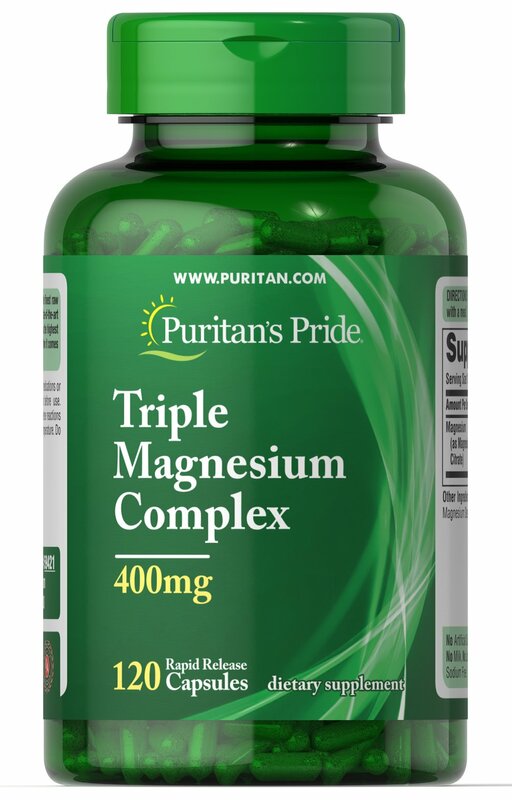 Triple Magnesium Complex helps maintain healthy bones in adults. 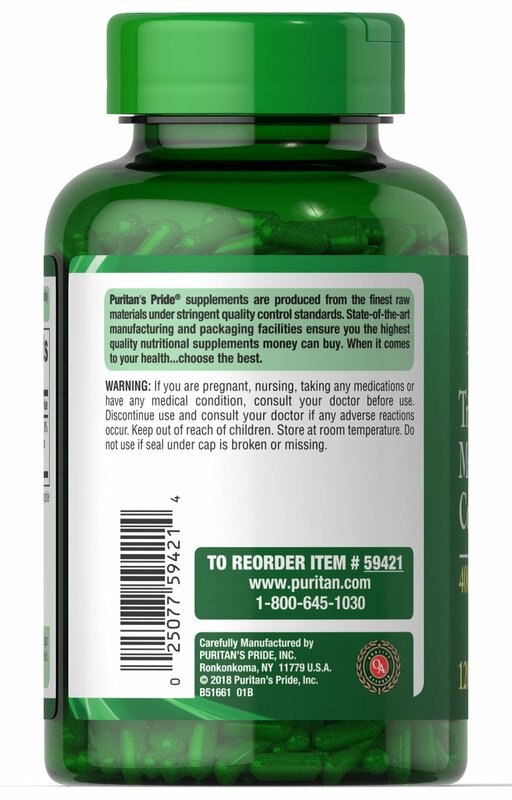 ** This dietary supplement supports bone health, and plays a role in the regulation of Calcium. 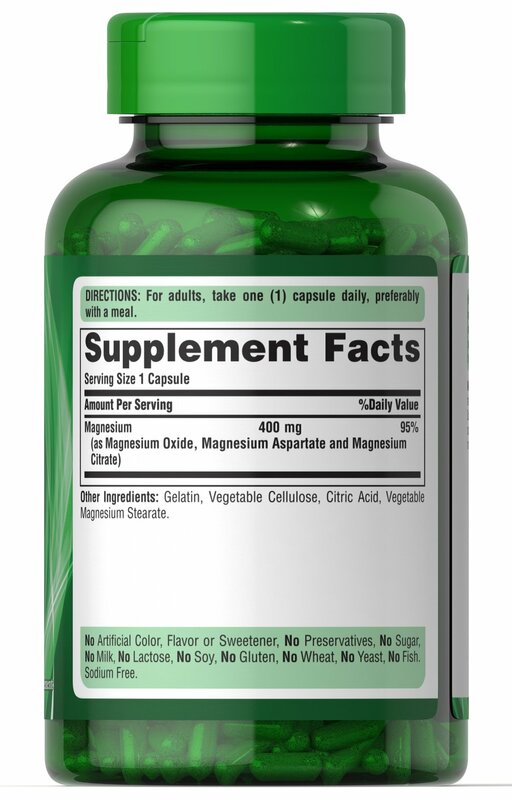 ** Each capsule has 400 mg of our Magnesium complex consisting of Magnesium Oxide, Magnesium Aspartate and Magnesium Citrate. Includes 120 rapid release capsules.